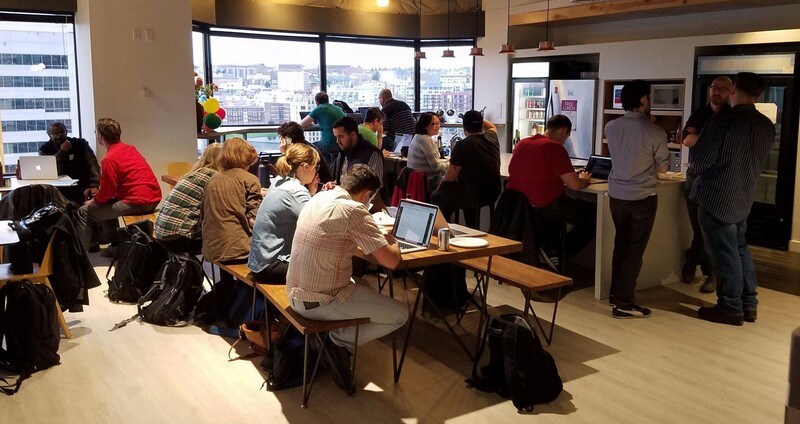 How we do it: We organize hacking sessions at WiFi-ready offices, cafes and bars around Seattle each week. Our hacking sessions encourage peer ideation and review, knowledge sharing, new champions for causes and projects, personal productivity, and a heightened sense of community. If you want to to learn and hack with together, come join us! seattlejshackers.com is maintained by SeattleJSHackers. This page was generated by GitHub Pages.